Hotel lobbyists and politicians meet at the first global anti-Airbnb conference. camera (Chesnot/Getty Images) Airbnb logo is displayed on a laptop screen on Dec. 11, 2017 in Paris. France is on track to slap serious penalties on hosts and platforms for illegal short-term rentals including Airbnb or HomeAway, the latest salvo between a major city struggling to fight the unregulated industry of renting out private homes. French President Emmanuel Macron is poised to sign the act into law on Friday, which would impose penalties up to 5,000 euros for hosts and 12,500 for companies who operate home rentals without a government-issued license. For rentals that operate illegally for more than 120 days, fines would be 10,000 euros for hosts and 50,000 for companies. Paris is important because it is Airbnb's biggest market with about 60,000 listings. It's unclear whether the new law would affect listings in Paris this holiday season. 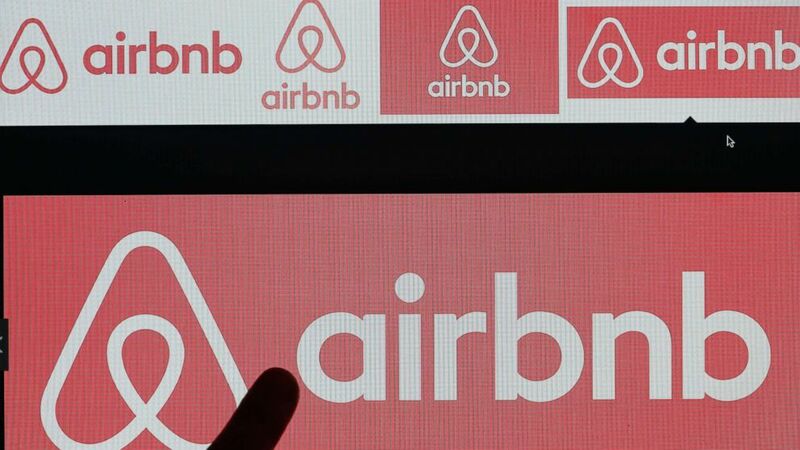 The new French law was discussed at ReformBnB, the first global conference to take on best practices in regulating the increasing number of home-sharing businesses like Airbnb or Booking.com in New York City on Sunday and Monday. Hotel industry representatives, economists, analysts and public officials from more than 20 countries and 30 cities attended. (STOCK/Getty Images) A person is pushing a luggage cart in a hotel lobby in an undated stock photo. Airbnb responded by hiring an LED truck that played a video ad and which was parked on the same city block as the conference hotel. The ad, which played on a loop, featured ordinary looking people holding up placards that said: "The big hotel industry made $77 billion last year. While taking over $5 billion in tax subsidies. So ... we subsidize the big hotels record profits. But we can't earn extra money on Airbnb?" It ended with the statement: Paid for by Airbnb. There were also a couple dozen pro-Airbnb protestors who said they were hosts outside the hotel. Their signs echoed the language in the video ad word for word. Some of the hotel-industry executives stepped outside to be photographed with the protestors. "Big hotels writing short-term rental policy is like big tobacco writing health policy -- it's just a bad idea and is ultimately bad for regular people," a company spokesperson said in an emailed statement. Last week, Airbnb announced it had booked more than $1 billion in revenue in its third quarter as the company is well on its way to being one of the most-watched initial public offerings next year. However, the Silicon Valley-based company is tussling with many of the municipalities in which it operates over increased regulations. It has filed several lawsuits to avoid handing over data about who uses the platform to governments. Opposition to short-term rentals, as the practice is called, has created a network of strange bedfellows, including city officials, hotel owners and operators, and rent-control advocates in cities disrupted by these companies. Critics said that because private home rentals are unregulated, the areas in which these companies operate are robbed of taxes, are more vulnerable to crime and public disturbances, and could house nefarious behavior ranging from noise complaints to drug activity and prostitution or human trafficking. Earlier this year, New York City comptroller Scott Stringer released a report that said Airbnb was responsible for nearly 10 percent of rent increases throughout New York City between 2009 and 2016. Tenants in Murray Hill, Gramercy, Stuyvesant Town, Williamsburg and Greenpoint paid monthly increases of more than $100 due to Airbnb listings in that time period, according to the report. "Their business model had a direct impact on our affordability housing crisis," Stringer told attendees. "Right after we issued our report, the company put the propaganda machine to work. They started on personal attacks. Airbnb spent like $1 million on TV ads blasting me and my office ... in New York City, we do the right thing and stand up to bullies." At the time, the company issued a statement that said: "Our message to Comptroller Stringer and his hotel industry allies is loud and clear: Rather than attacking the nearly 50,000 middle-class families who rely on Airbnb, it's time to work with us to help New Yorkers stay in their homes. We look forward to continually making this point over the next few weeks." New York City, Airbnb's second-biggest market with about 50,000 listings, is a constant battleground for parties fighting encroachment. Next February, a new law requiring platforms to hand over information about every short-term rental in the city is scheduled to go into effect. Airbnb and other sites had sued the city in federal court in Manhattan to prevent the law from taking effect. 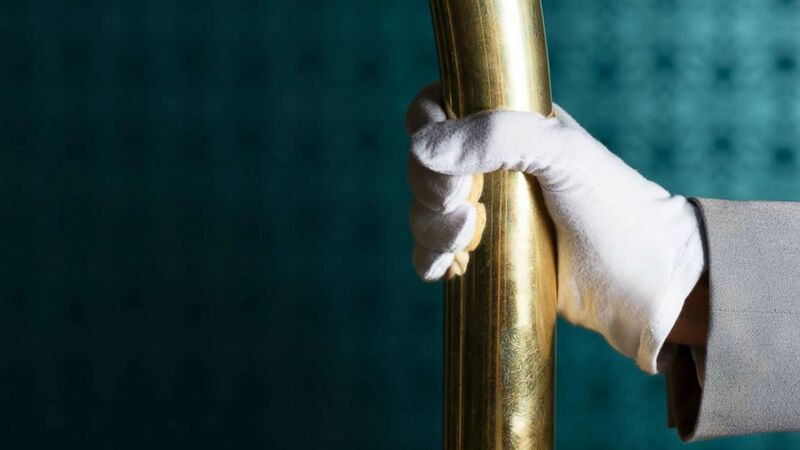 In the meantime, New York has cracked down on violations -- last month The Atelier, a 46-story luxury apartment building in Manhattan, received 27 notices of violations for illegal hotel operations in a raid, first reported by The Wall Street Journal. In addition to the LED display truck, the organized protestors and the statement, Airbnb's head of Northeast policy Josh Meltzer wrote an op-ed titled "Time for a Truce: A Path Forward for Airbnb, The Hotel Industry & Home Sharing in New York." "We are ready for a hard, honest discussion. Eager, in fact. Because our hosts -- real New York families -- are depending on us to have that discussion, to bring some resolution and security to their own lives and financial future. We want a solution," Meltzer wrote. "We are at our seats at the table, hand extended. And we hope the big hotel industry will join us."